Not all USB 2.0 Y Cables are the same - DoubleQueue features quality engineering! The DoubleQueue USB 2.0 Y Cable was created to the exacting standards of a major WWAN hardware manufacturer. This meant it couldn't be cheaply or poorly designed like many competing cables. The DoubleQueue USB 2.0 Y Cable had to pass rigorous testing of standards bodies like the USB-IF, FCC, and others before it was included in the OEM package for major wireless carriers. One of the keys to DoubleQueue USB 2.0 Y Cable's quality is the split for the power cables is located in the plug where there is the most shielding and the least amount of stresses from movement. 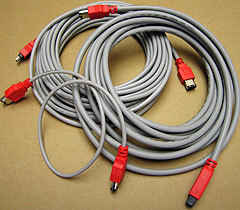 Many USB 2.0 Y cables split mid-cable, which is why they aren't standards compliant. DoubleQueue's connectors meet or exceed the USB-IF exacting requirements, and its highest quality EMI shielding assures USB 2.0's maximum throughput of up to 480Mbps. This in turn, makes the DoubleQueue USB 2.0 Y Cable the best choice for a range of devices including 3G/4G WWAN devices like the Kyocera KPC680 or Option Wireless GT Max 3.6 Express, the MicroU2E family of adapters, and even hard drives and SSD devices requiring extra electrical current. The DoubleQueue USB 2.0 Y Cable features two upstream male A connectors, one for data and power, one for power only, and provides a downstream female A connector. Designed for notebooks and computers that don't provide enough current at their USB 2.0 ports, DoubleQueue's ability to draw power from a second port allows power hungry devices like WWAN 3G modems and hard drives. Some computers provide as little as 300mA per port, which while within specification, is woefully inadequate for many USB 2.0 devices. The DoubleQueue USB 2.0 Y Cable's ability to provide up to 1000mA to 1200mA when used with 500mA ports, and up to 600mA when used with 300mA ports. Providing a female A receptacle allows DoubleQueue to accept USB 2.0 and 1.1 male A cable ends and devices like the MicroU2E-MV without any other adapters. The DoubleQueue USB 2.0 Y Cable can be used as a normal USB 2.0 extender cable simple by using the data and power portion of the cable only. Available at EverythingHerePlus.com for just $3.50 with inexpensive USPS Priority Mail shipping. Bafo's Premium line of FireWire cables feature ultra high density, triple shielded, high intensity copper for the most stabilized impedance and the highest digital video signal transfer available. Like all the premium line, this FireWire 4 to 6pin Cable has 24K pure hardened gold plated contacts to maintain high bandwidth and maximum data signal integrity. 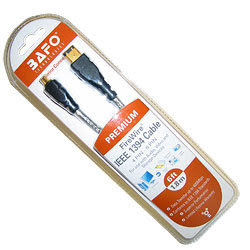 Bafo Premium line quality and standards compliance rival those of far more expensive cables. This 6-pin to 4-pin FireWire 400 cable is perfect for use with DV Camcorders featuring mini-DV, iLINK, FireWire 400 connectors. 1.8M (6 foot) is the most frequently requested length. The FireWire 4 to 6pin Cable is made with lead-free, RoHS compliant, and environmentally safe materials for a better world. Available at EverythingHerePlus.com for just $5.00 with $5.00 USPS Priority Mail shipping. NetInfo Manager, like most NeXT style applications utilizing the columnar data presentation, is clumsy at best for entering information. Only the most stalwart advocate would be caught trying to use it to enter any lengthy lists of data. Fortunately Apple provides an alternative to those used to the elegant simplicity of text configuration files. Here we will populate NetInfo with a hosts listing from a standard BSD hosts file. This is a simple and very practical example. To see the very specific format NetInfo prefers the hosts file, and to prevent missing any important information, let's export the existing data from Netinfo first. Make sure the resulting file is in /etc/hosts (permissions apply). Once we've added all the additional entries, we can now reimport the data into NetInfo Manager. For a full overview of command line utility access to NetInfo, execute apropos netinfo and read the corresponding man pages. We are also assuming that the reader is familiar with maintaining standard Unix host files. EverythingHerePlus.com is now offering a Linux compatible USB reader for PCMCIA PC Card SRAM and ATA Flash memory devices just $155.00 USD. 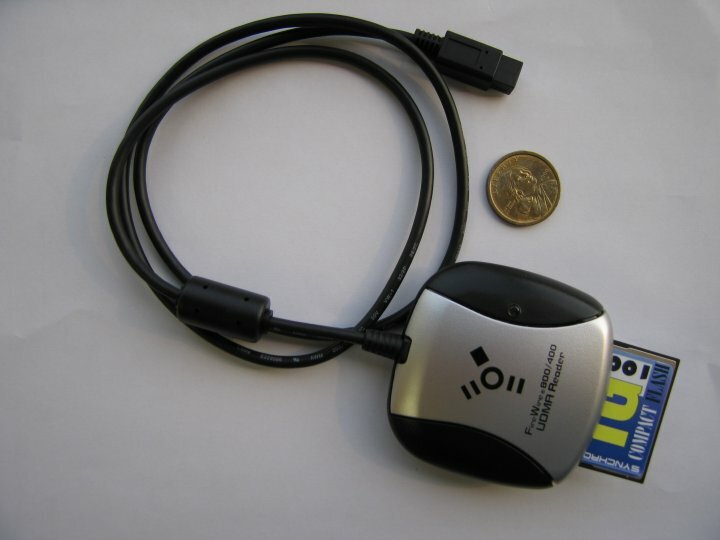 For full details check out U111-M USB to PCMCIA PC Card ATA Flash and SRAM. In addition to testing the U111M with excellent results on the Windows XP platform, we were asked to test the U111-M with stable and secure Unix-like operating systems. The U111-M represents a low cost way to deploy both PCMCIA PC Card ATA Flash and SRAM on newer systems without existing PC Card slots. 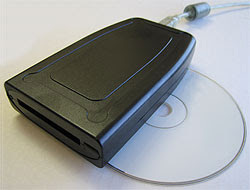 Its excellent compatibility with Linux is good news for users and the ability to deal with PCMCIA PC Card SRAM makes it unique in that regard. Xubuntu is the XFCE based Ubuntu distribution, and the U111-M really shined throughout the entire testing procedure. I was having this problem and searched on Apple's discussion boards, finding I wasn't alone. The following solved the problem, and is reproduced here since Apple's discussion boards require a login. set the comment of this_photo to ""
EverythingHerePlus.com is a new online shop that, among other things, is an authorized Synchrotech reseller. Their prices on many of Synchrotech's most popular items are typically discounted, and they ship via USPS Priority mail instead of FedEx, so many items are much cheaper to purchase when shipping is taken into account. For example EverythingHerePlus.com sells and ships the ExpressAdapt PCMCIA PC CardBus to USB Mode ExpressCard Adapter for $27.92. 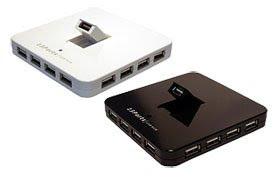 Or have an Unibrain FireWire 400 to 800 Adapter delivered for less the the retail price of the Sonnet version. The CFFire800 Pro FireWire 800 to UDMA CompactFlash reader made the arduous task off offloading photos from my Cannon S-70 somewhat of a joy. Synchrotech published a few documents verifying my experience. I use an ATP ProMax II CF 300X UDMA CompactFlash Card and see numbers very close to the top cards on this list. 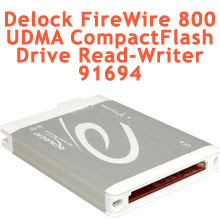 I use the FireWire 800 based CFFire800 Pro in FireWire 400 mode with a 9→6 pin adapter and can say it outperforms any USB 2.0 based CompactFlash reader I've ever tested by orders of magnitude. Why use Gambit Scheme for application development? A discussion from jlongster on Gambit embedded in Objective-C. Some potentially cool stuff here. This discussion was a follow on to mikelevins Heresy article in which Scheme <-> Objective-C interface is also discussed. mikelevins' mention of prefix-dylan is a bonus as well. 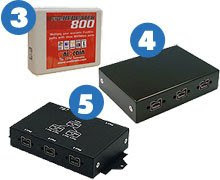 Synchrotech FAQ deals with myriad questions regarding connecting between FireWire 400 and FireWire 800 and vice versa. With Apple's bold transition to all FireWire 800 ports on their computers and USB 3.0's disappointing initial performance figures, this FAQ and HOWTO is right on time! Of special note is their 6→9 FireWire 800 IEEE1394b 6pin (female) to 9pin (male) Converter Plug available at EverythingHerePlus.com for under $9 and shipped for only $5! Any wonder at all the latest incarnation of the prosaic USB standard with its outdated and awkward master-slave topology, underperforming NRZI encoding, and clumsy CPU cycle stealing bus mastering scheme doesn't live up to the hype? Evidenced by the results of all the benchmarks I've ever run in the lab, USB 2.0 is crushed by Ultra Wide SCSI, an early 1990's technology. Let's ponder USB with its anemic power capabilities, frightfully short cable runs, and well over a decade old performance capabilities. What was USB's advantages other than ubiquity again? I realize many USB otaku have bought into the Intel fanboi TV spot , but maybe people should be tossing rotten fruits and vegetables at Ajay Bhatt.